One of the best Android keyboards that offers amazing and numerous features, very smart prediction and an incredibly easy to use interface, SwiftKey, is preparing to launch a whole new feature for their keyboard. It’s a keyboard feature that has been incorporated in lots of keyboards except this one. I’m talking about gesture typing. Before releasing the official version of Swiftkey Flow, the app’s developer has stated that the app has to go through a beta testing phase. This will be released to the public and bugs are supposed to be identified and fixed. This message was passed by Evan Tapper, the community manager of Swiftkey. 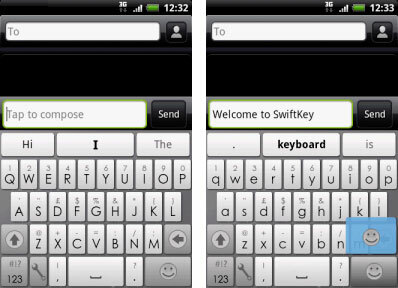 You can also test the Swiftkey Flow beta app by joining their VIP program. You will then receive an e-mail with an invite to test the beta app. The developers need testers as this is the only way to make the app well fit on the customer’s needs. So why not give it a try for yourself?